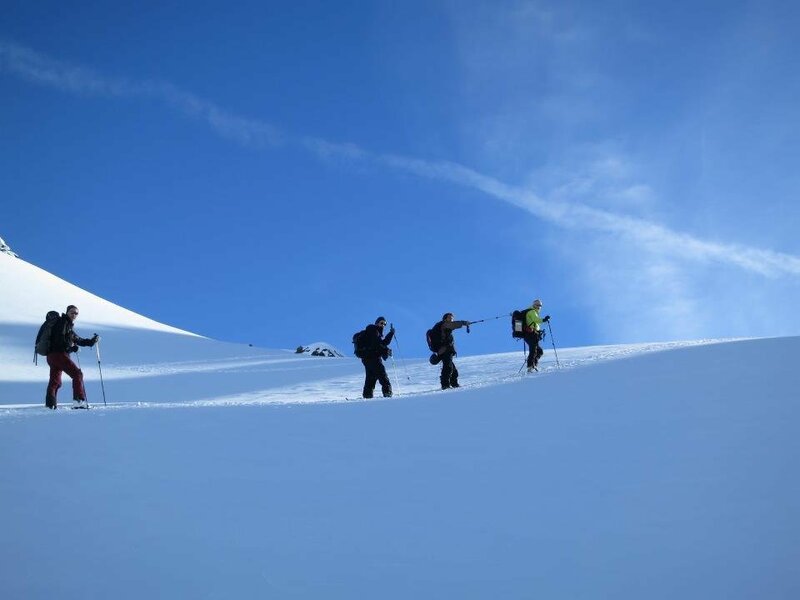 Freerider and skitourers, who normally ski on their own (not guided) exchange their knowledge and become more competent in their decision making while enjoying the backcountry. On Friday and Saturday evening the conditions are discussed and the plans for the next day made. The preparing of the tours is coached by local mountain guide (Walter von Ballmoos) and Björn Michaelsen (Ski and Avalanche Instructor, Alta, Norway). On Saturday and Sunday the groups are skiing on their own. This workshop is not a classic avalanche safety course! Since the course is international, the main language is English, Walter translates when necessary. By payment you confirm your participation. Make clear you include your cell phone number and name. Minimum number of participants 8.